The writer Robert Walser (1878-1956) had an enormous influence on the visual arts. This publication is the first attempt to extensively document and discuss aspects of this influence. Walser was a source of inspiration not just for other writers like Hermann Hesse, Robert Musil and Franz Kafka but also for many musicians and artists. 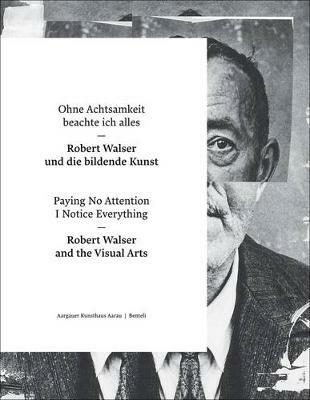 This book attempts to explore the cultural and historical dimensions of this phenomenon, examining both international works of contemporary art as well as Robert Walser's own artistic origins. The publication is divided into two sections. The first presents a broad selection of contemporary national and international artists who were inspired by Robert Walser in different manners, including Ian Breakwell, Marie Jose Burki, Thomas Hirschhorn, Markus Raetz, Thomas Schutte, Rosemarie Trockel and Mark Wallinger. The diversity of artistic media alone serves to demonstrate just how significant Walser's impact has been. In the second historical section, works created in Switzerland and abroad during Robert Walser's lifetime will be shown. Included here are both quiet landscape renderings of his native region and works considered more radical at the time by such celebrated artists as Lovis Corinth, Eduard Manet and Vincent van Gogh.